NOW … The Calhoun School is an eight-story glass, travertine, and concrete building located on the south-west corner of West 81st Street and West End Avenue. Built between 1973 and 1975 and designed by architect Costas Machlouzarides, the original five-story building’s most distinguishing feature was the second to fifth floors. Brown tinted glass curtain walls bow outwards and are framed by travertine cladding that arches on all four sides, giving the building the appearance of a giant television. 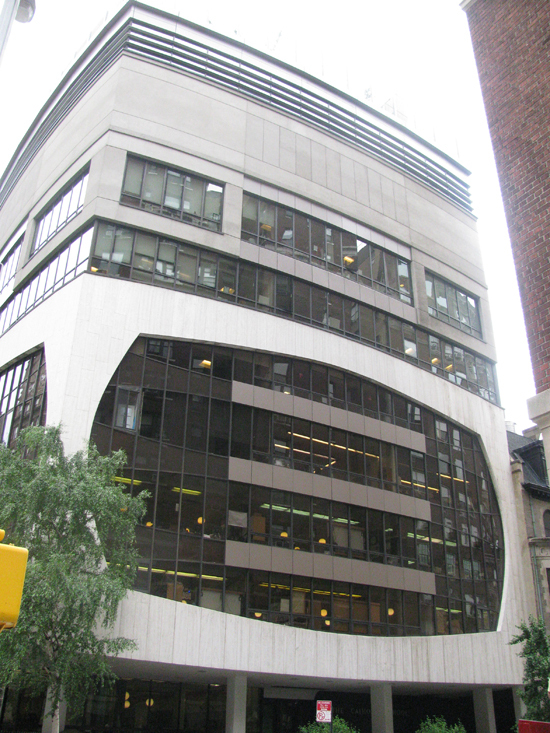 In 2000, the Calhoun School hired FX Fowle, an architecture and planning firm, to design a four-story addition. Completed in 2004, it is sometimes called the “VCR” or “cable box”, to the school’s TV-like appearance. The building’s 97′ by 79′ footprint is adjacent to a 1880s historic group of row houses and in a neighborhood of early 1900s apartment buildings. 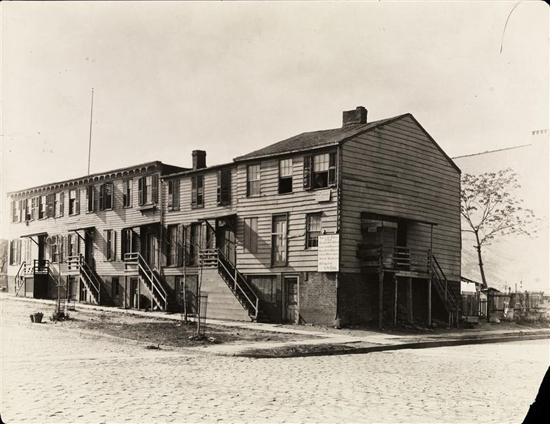 THEN … Prior to the construction of the Calhoun School, a group of row houses occupied the corner (see historic Bromley map at left). 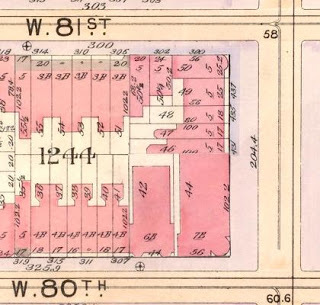 Both the apartment building to the south and the group of row houses to the west demark the location of the late 19th Century corner development. Even earlier, a row of five frame houses ran along 11th Avenue, later renamed West End Avenue. A rare 1894 image, seen below, depicts the modest framed houses at the corner of a paved intersection with planted trees.